The domestication of dairy cows has been practiced for a very long time, but the modern dairy industry as we know it has recently come into existence. With inventions such as refrigeration, pasteurization, and mass transportation, the availability of dairy products has massively expanded. In the United States, the dairy industry has consistently maintained one of the most effective advertising campaigns in history. In fact, the famous Got Milk campaign has a 90% retention rate among consumers, meaning 9 out of 10 people that see the ads remember them. Numbers like that are something many advertisers can only dream about. Since the days of our great-grandparents, we have been bombarded with ads proclaiming milk's health benefits. These ads have been so effective that the vast majority of the population have believed it to be true for decades. However, as effective as the campaign has been, there has always been a small group of people who have spoken out. One somewhat well known instance of this happened in the 1970s, when the dairy industry's slogan was, "Everybody Needs Milk." In 1974, the dairy industry was in the midst of a major advertising campaign declaring this slogan, when the Federal Trade Commission issued a complaint against the Milk Producers Advisory Board. The complaint charged the dairy industry with using false, misleading and deceptive advertising. The FTC complaint was issued due to a rising amount of scientific evidence that suggested that people don't, in fact, need milk, and that it was actually harmful to health. But the dairy industry didn't waste a moment. They acted quickly and already had the slogan changed when the FTC announced its intent to file a formal complaint. The new slogan? "Milk Has Something for Everybody." "Of course, that "something" might be diarrhea, iron-deficiency anemia, or even heart attack." -Dr Frank A. Oski, M.D. The famous "It does a body good" campaign was halted in a similar manor, when medical health professionals began speaking out that it, in fact, does not. 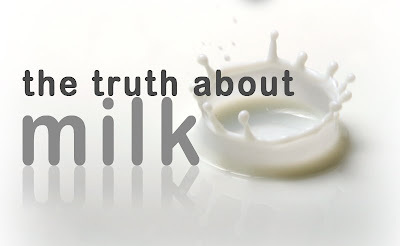 Over the next several posts in this series, we'll look point by point at the claims made about milk's supposed benefits and why they are completely false. Claims about calcium, vitamin D, fat content, protein, weight loss, etc. are all staple advertising points used by the dairy industry, and all are false. Tomorrow, we will look at the calcium myth. Stay tuned! This is my personal blog that I've been using since 2006. Here you will find posts about computers, the Internet, technology, news, gadgets, Android, and whatever else I feel like writing about.